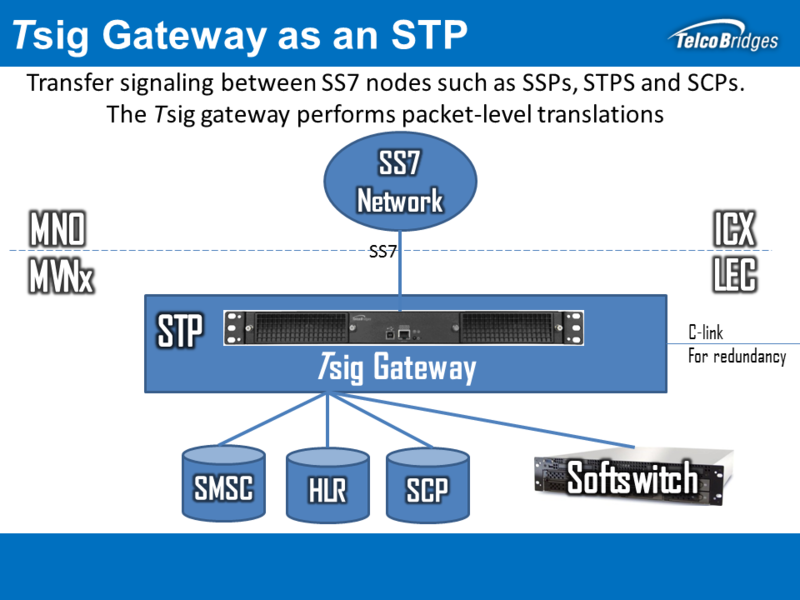 The Tsig signaling/SIGTRAN gateway performs packet level translation from SS7 signaling to SIGTRAN signaling between (STP) Signaling Transfer Points. Provides additional routing flexibility and control. Allows for seamless integration into SS7 networks & existing infrastructure. TelcoBridges Tsig™ family of Signaling/SIGTRAN gateways are the industry's most reliable & stable signaling gateway.